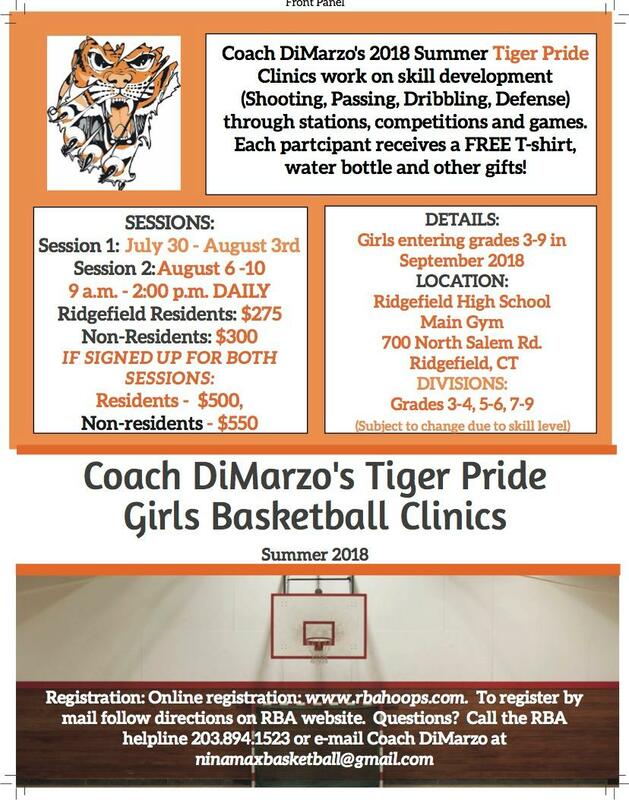 Coach DiMarzo's Tiger Pride Basketball Clinic is an instructional program designed to enhance learning and development in the game of basketball. The camp features full court games split by age and ability, shooting contests,guest speakers, and skill development in dribbling, shooting and defense. Coach DiMarzo is the current girls varsity coach at Ridgefield High School. His 2014-15 team won the FCIAC championship.